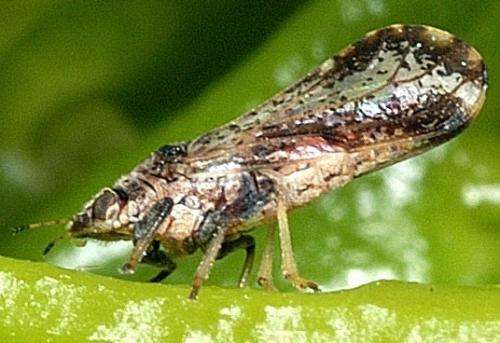 The Asian citrus psyllid, Diaphorina citri, was first discovered in Florida in 2005 and in Puerto Rico in 2007. Since then it has caused billions of dollars' worth of damage by spreading a bacterium which is responsible for citrus greening disease (Huanglongbing), the most serious disease of citrus in the world. However, scientists from Puerto Rico and Florida have discovered that the ACP doesn't do well at high elevations for reasons that are not yet known. Their research, which may one day lead to clues about the insect's vulnerabilities, is published in the Journal of Economic Entomology. After hearing anecdotal evidence that the ACP is less abundant at high elevations, the researchers set up a two-year experiment to find out for themselves. They chose 17 different sites, ranging from 10 to 880 meters above sea level, which were monitored with yellow sticky traps on citrus trees or other plants that are preferred by the ACP. As elevations increased, ACP populations decreased, dropping to zero when they reached 600 meters or more above sea level. "There was a strong trend in both years for decreasing psyllid abundance with increased elevation based on the number of psyllids captured on traps and the proportion of trees shown to be infested," they wrote. "No psyllids were collected at an elevation of >600 m."
In addition, none of the trees surveyed for citrus greening disease at high elevation sites tested positive. What does this mean for citrus growers? Changes in elevation result in changes in temperature, short-wave radiation, partial pressure of respiratory gasses, precipitation, oxygen content, and air pressure. If any of these can be shown to affect the development of the ACP or of citrus greening disease, then it may be possible to induce these conditions in citrus trees at lower elevations. "Another practical implication for this study would be to put citrus nurseries >600m, where numbers of D. citri are minimal to non-existent," according to the authors.